Beychella’s glistening Nefertiti crown reigned over Coachella’s grand finale weekend. Who better to revive and strut the lavish wardrobe of ancient Egypt’s monarchs than Queen Bey herself? Fashion legend, Balmain, and Beyonce partnered up to create this breathtaking ensemble. The gifted artist, who designed this ruler worthy headpiece, inspired by Balmain, is none other than House Of Malakai. 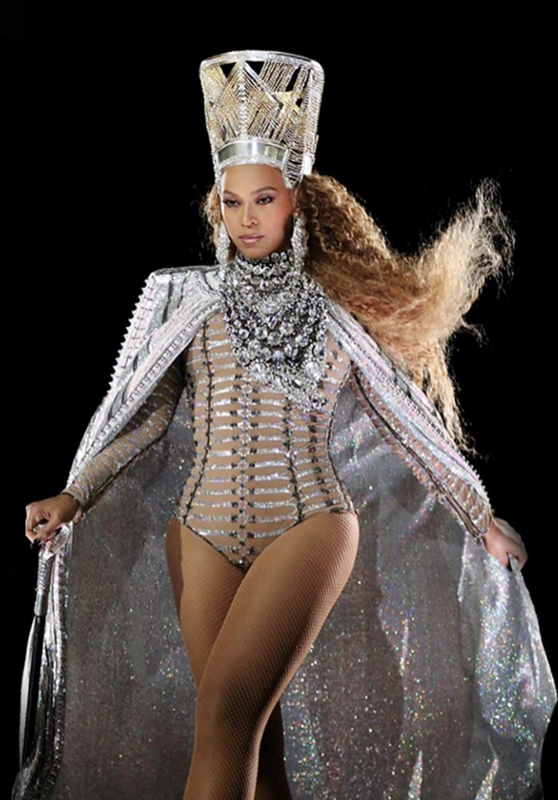 HOM is also the talent behind Beyonce’s unforgettable golden Nefertiti crown, radiating like a star above the Beyhive during the GRAMMYS, as well as headpiece designs for her upcoming On The Run II world tour with Jay-Z. “Designing for celebrities is very enriching” Malakai stated in a recent interview with Plotaverse. Plotaverse: You have quite a roster: Beyoncé, Rihanna, Lady Gaga, FKA Twigs, Nicki Minaj, Katy Perry, Willow Smith, Erykah Badu and the list goes on along with the most recent Beyonce Coachella performance that is making worldwide headlines? HOM: “With my background in performance art, I feel I understand the needs of the artists. It is an opportunity to create a message. Musical artists take great risks and are willing to go out of the box with fashion. It is a place of pushing the evolution and boundaries, living your fantasy and opening the minds of others. My work attracts the mystical and meaningful moments. I have been blessed to be apart of some historical moments. Plotaverse: What inspired you to become a fashion designer and how long have you been in the industry? HOM: “My inspiration to become a designer happened very organically. I started making clothes as a form of Self Expression. My roots are in the Gothic, Punk, and Rave subcultures. These underground movements were the first time I witnessed adornment merged with deep intentions and social-political viewpoints. This evolved into a journey of ceremony and ritual that morphed into a career in performance art. Performing and making clothes and costumes was where I began to refine the art of fabrication. Plotaverse: What inspired you to use Plotaverse animation software? Plotaverse: Is there any advice you can give future designers out there? HOM: “Engaging in craft and pushing yourself to learn new things is the way forward. Achievement is connected to self-esteem, do not be afraid to make mistakes, even in public. We are all capable of many things. Merge your passion with discipline and dedication. Do not let fear hold you back. To watch Rihanna’s head piece move, click on the video below.